special designed with washing arrangement for washing the cake of the filter and extra large filtration area. 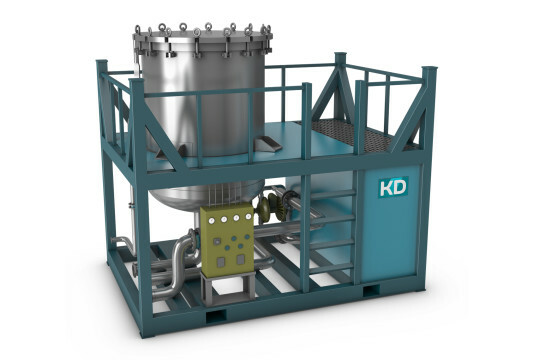 This makes it possible to filter fluids with high dirt loads even at high flow rates. For slurry discharge the series VPLF is provided with a sluice header which is driven by a Pneumatic Actuator. The sluice header is equipped with flat water spray nozzle at 3.5 bar fresh water pressure. Cleaning the filter leaves can be done without opening the filter vessel.